Creator's blog for Plover, the open source stenographic program. Typey Type for Stenographers keeps getting better. Now there are drills for the top 100 and top 1000 words, as well as a new custom lesson feature, and a fascinating "blur" feature, which allows you to use a screen reader (I recommend the open source NVDA) to turn the text-based drills into dictation. Using a setting to “blur words”, sighted people can blur the lesson material on Typey type and use a screen reader to announce each word to practice transcription. This reads out each word from the lesson material one at a time only after you’ve successfully typed the previous one. In the future, I’d like to make a feature that reads out words ahead of where you’re at to mimic dictation and real-time captioning tasks where you need to “stay on top of the speaker” and not fall too far behind what they are saying. For now, blur material offers two particular benefits for sighted stenographers. One benefit is relieving eye strain from staring at one point on the screen for extended periods. The other key benefit is to help sighted stenographers learn to write words based on how they sound instead of how they look or are spelled. Screen readers have a bit of a learning curve, but honestly I recommend them to any sighted user who wants to gain some proficiency and understanding of what it's like to use a computer without using your eyes. Give it a try and report back on how it worked for you! 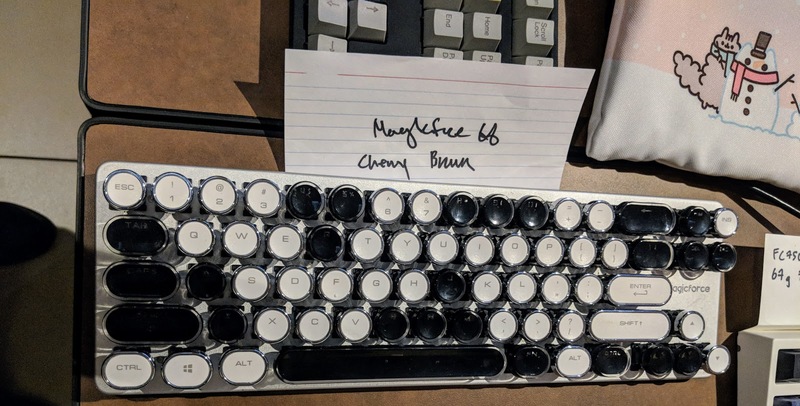 Photos from the NYC Mechanical Keyboard Meetup! 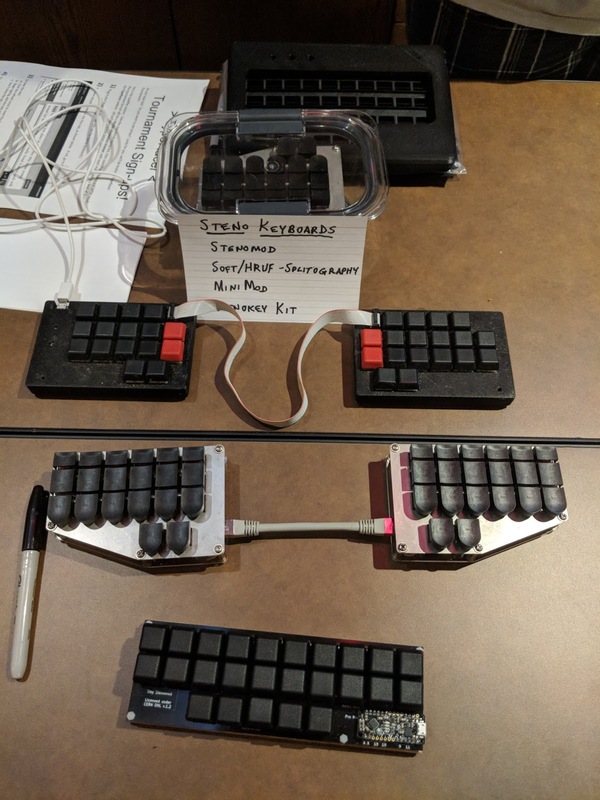 The NYC Mechanical Meetup was last week, and there were at least three steno people in attendance: Me, Weiben, and Malcolm, all frequenters of the Plover Discord. 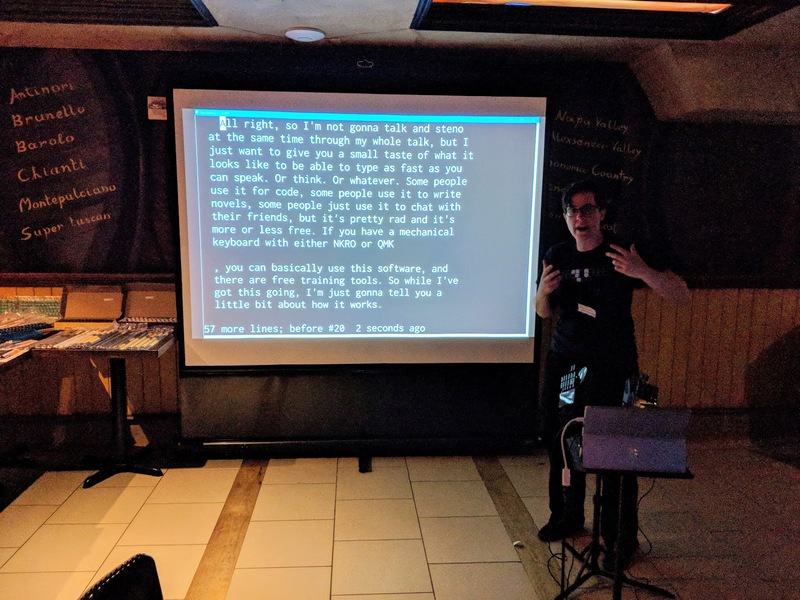 I gave a short talk on steno. Malcolm showed off his amazing feather-light lubricated steno-layout board. 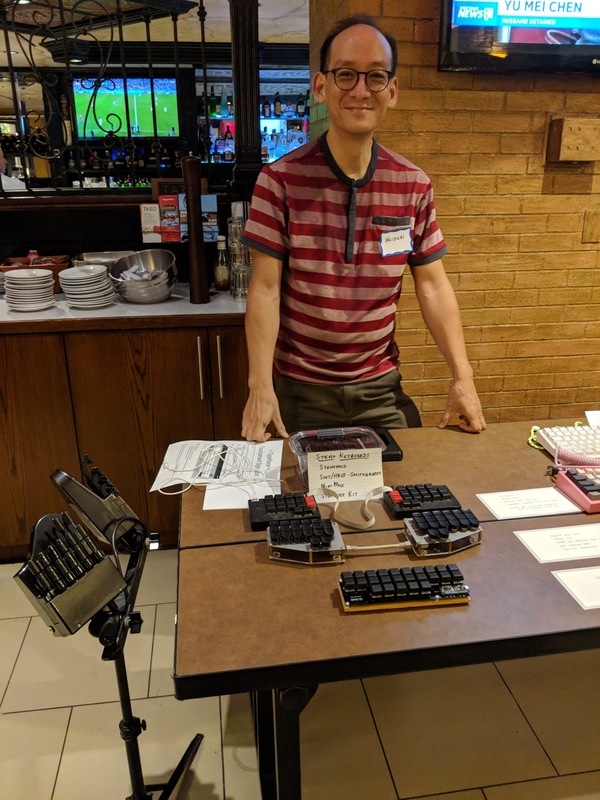 Weiben and I repped our StenoMod, TinyMod, SOFT/HRUF Splitography, and Infinity Ergonomic machines, giving demos to curious mechanical keyboard aficionados. And, of course, we saw some extremely attractive qwerty rigs as well! We all had a great time, and I think we managed to win some people over to the steno side! This video is from a few months ago, but I realized I never wound up posting it here! Sillabix, the OSP's resident Italian Steno expert, demonstrates how to modify an affordable MIDI keyboard to make it usable for Michela, the Italian steno system, which conveniently has its own Plover plugin. Video notes are in Italian but translated in the closed captions. The process is seriously cool to watch, and the music is fantastic as well. Check it out! 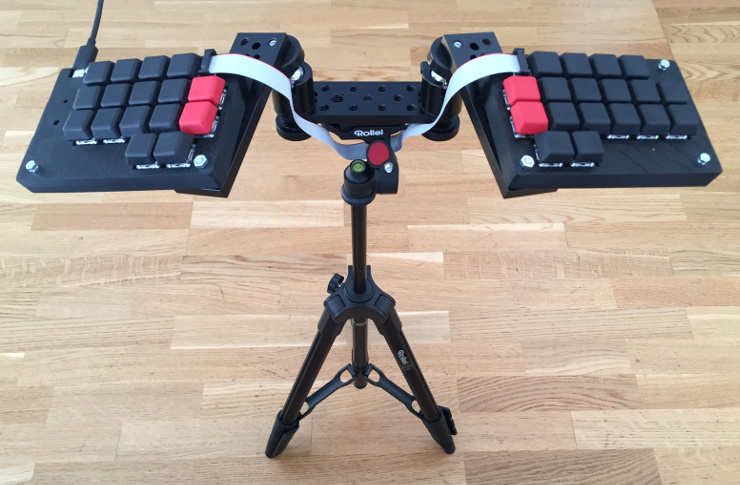 Check out this great post on Martin's StenoBlog about his homemade StenoMod tripod, with lots of pictures and detailed specs to help you build your own! Check out the fascinating blog post Waleed wrote about modifications he's made to the default dictionary that ships with Plover from a high level steno theory perspective. Some great stuff here! Umbrella project for libre steno hardware, software, and support. Plover merch and keycap toppers. Free, high quality online textbook to learn stenography using Plover. Try steno in your browser without having to download or install anything. Forum for Plover discussion, help, and development. The Plover Google Group. Subscribe for updates and conversation. What is Steno Good For? Steno 101: How to Do It? Theme written in Plover by Ted Morin. Awesome Inc. theme. Powered by Blogger.